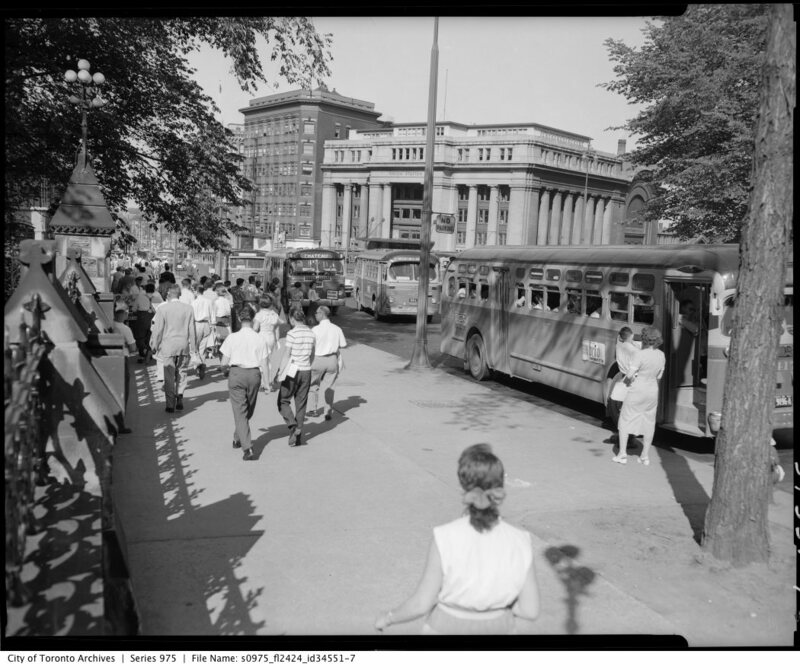 A busy afternoon on Wellington street, June 17, 1957. Image: City of Toronto Archives Gilbert A. Milne & Co. Ltd. Fonds (1653), Series 975, Box 149960. I’ve always been a fan of this picture. One of the busy Ottawa street scenes captured by Gilbert A. Milne & Co. on June 17, 1957. I wrote a bit about one of the shots previously, and Robert Smythe has taken the whole series in turn. Ultimately, I’d just like to note the advertisement on the bus is for Brio. 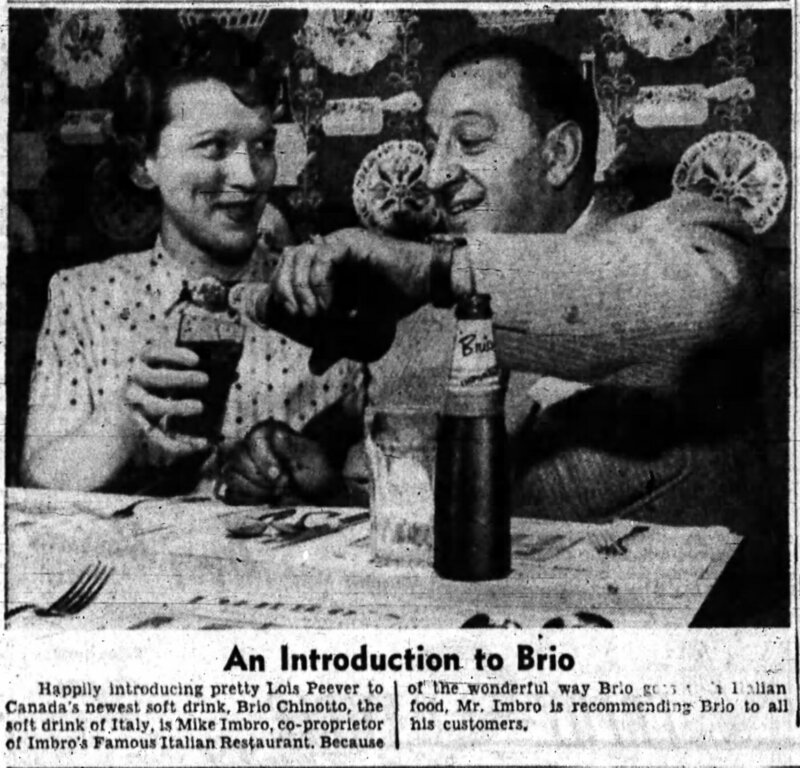 The popular Italian beverage was virtually unknown in Ottawa, though Mike Imbro, co-owner of Imbro’s Restaurant on Rideau street made efforts to introduce the drink to thirsty Ottawans. As it was 31℃ that day, they may have needed it. Mike Imbro, introducing Brio to Lois Peever. Source: Ottawa Journal, March 23, 1957, p. 28.